Ultra Man™ Sport is designed for men of all ages who need a comprehensive support pack that works just as hard as they do. Each daily pack is supercharged with the nutrients that active men need so they can make the most of their fitness routine and overall healthy lifestyle. ** These packs go well-beyond conventional multivitamins by providing important amino acids, enzymes and other nutritional factors. This high-powered multi was specifically designed to meet the needs of athletes and active individuals with potent levels of B-vitamins needed for energy metabolism and antioxidants to help fight cell-damaging free radicals. ** Ultra Man Sport™ is supercharged with a variety of unique blends formulated specifically for active men. Glutamine is the most abundant free amino acid found in the blood and skeletal muscle, and levels can decrease with hard training. Each pack provides over 1 gram of pure L-Glutamine. Coenzyme Q-10 can be found in almost every cell of the body, including the heart and muscles. ** Since Co Q-10 levels can decline with age, supplementation can be important for active individuals on a daily basis. Directions: For adults, take one (1) packet daily, preferably with a meal. Other Ingredients: Ultra Man™ Sport Daily Multi: Other Ingredients: Vegetable Cellulose (Hydroxypropyl Methylcellulose, Microcrystalline Cellulose), Vegetable Stearic Acid, Calcium Silicate, Vegetable Magnesium Stearate, Hypromellose, Vegetable Glycerin, Ethyl Vanillin, Maltodextrin. Contains: Soy and Tree nut (Coconut). Other Ingredients: L-Arginine 1000 mg Vegetable Cellulose, Coating (Hypromellose, Glycerin). Contains <2% of: Vegetable Stearic Acid, Silicon Dioxide, Vegetable Magnesium Stearate. Contains: Tree nut (Coconut) Suitable for Vegetarians. Other Ingredients: L-Glutamine 500 mg Microcrystalline Cellulose, Dicalcum Phosphate, Hydroxypropyl Methylcellulose, Coating (Hypromellose, Glycerin) Contain <2% of: Stearic Acid, Croscarmellose Sodium, Silicon Dioxide, Magnesium Stearate. Contains: Tree nut (Coconut) Other Ingredients: Co Q-10 100 mg Rice Bran Oil, Gelatin, Vegetable Glycerin. Contains <2% of: Soy Lecithin, Purified Water, Titanium Dioxide (Color). Contains: Soy. Other Ingredients: Vitamin B-12 1500 mcg Microcrystalline Cellulose, Hydroxypropyl Methylcellulose, Vegetable Stearic Acid, Silica, Vegetable Magnesium Stearate, Dicalcium Phosphate. Warning: This product is intended for use by men and is not intended for use by women. If you are taking any medications, planning any medical or surgical procedure or have any medical condition, consult your doctor before use. Discontinue use and consult your doctor if any adverse reactions occur. Not intended for use by persons under the age of 18. Keep out of reach of children. Store at room temperature. Do not use if packet is cut, torn or open. Ultra Man™ Sport Daily Multivitamin Packs is rated 4.5 out of 5 by 13. Rated 1 out of 5 by Anonymous from Never in stock. Dont get your hope's up! Product is 5 star.but Vitamin World distribution is 1 star. The Ultra man sport multi pack is very good but I've tried to order for months and it's always back ordered. 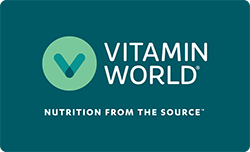 I wish Vitamin World would get their distribution act together or delete the product if they don't plan to make it available. Rated 4 out of 5 by Carlos from Excellent product the only bad thing is... Good product but sometime it's not coming completed. I'm talking about some pack missing some pills and some pack with half pill. Rated 5 out of 5 by NicoOmega from Exceeded Expectations The Sport pack vitamins were a great surprise. I normally get the regular ultra vitamin pack, but I decided to switch it up and get the sport pack. I have been dragging at work the past couple of weeks and the sport pack has gotten me through the days with a little extra at night. The energy burst isn't a jolt, it's more like a steady climb, plus no crash at the end (only when my head hits the pillow). Rated 3 out of 5 by Curiousgeorge from Daily maintenance This is a good product with quality ingredients.IT IS A Daily Supplement. IT IS TAKEN DAILY.Pricey for a daily supplement You have to catch it on sale.Or if the member price was lowered to give the member an incentive. Rated 5 out of 5 by Anonymous from Love this product Simply put, you don't have to go any where else to get a full supply of your daily allowances. Rated 5 out of 5 by Anonymous from WOW! These are great. I was really bummed that the bottles were on back order. My wife recommended that I give the Sports Pack a try and am I glad that I took her advice. If you like the regular Sport, the pack is a must try for you!